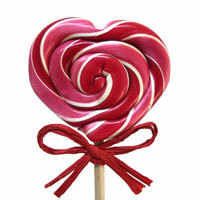 Sweet Sally Lollypop: has a strong gift of compassion and mercy. She loves to help others and shines at patching up wounds. Heartbeat: Holy Spirit who always hovers over Sweet Sally as she mirrors His heart. Sonshine: Jesus is the way, the truth and the light. Sweet Sally has a heart of gold. [compassion and mercy]. She loves to help others. (puts band aids on a friend’s hurt knee). Heartbeat is always near by and Sonshine points to those in need. Jezzel [Jezebel] is the most popular girl at the school with a gaggle of friends. She stands around the playground with her friends watching what the other children are doing and spots Sweet Sally with Heartbeat and Sonshine helping her friend, Needy. Jezzel asks Sweet Sally to go on the double swing and Sweet Sally agrees. Being smaller, Sweet Sally starts to get afraid of the height and asks Jezzel to slow down. Bully Pen arrives on the scene and dips his hand into the ink well of darkness. He throws an ink blot on Jezzel and Blotch shows up on her shirt. Sweet Sally falls out of the swing onto her face. Bully Pen throws more ink blots and Slime and Smear join Blotch on Jezzel. Jezzel and her friends begin to mock her. Dirt Ball throws the final punch. Heartbeat (Holy Spirit) hears, calls to Sonshine (Jesus) and He covers her with His blood and appeals to the Father, Who sends His ministering angels to fight for Sweet Sally. Blotch, Slime, Smear and Dirt Ball are kicked back into the ink well and the top is fitted on it. Playground is transformed by what they see. Jezzel becomes Joy, Blotch becomes Beauty, Slime becomes Simplicity, Smear becomes Sincerity, Dirt Ball becomes Dedicated. Sometimes when we have a sweet nature that draws people to us, lonely or insecure people (root of rejection in Jezebel) let their jealousy take over and they strike out at others. The offense is kicked up a notch when they draw others into it. The wounded victim doesn’t recognize the works of the enemy and runs to hide in the cave of emotions. When we cry out to the Lord, He will fight our battles for us, if we forgive, and our hearts are right. Otherwise, we have to fight it in our own strength.